While everyone is still trying to get their heads around the Paris Agreement, as it is now called, we should probably spend a moment on what we have achieved. Humanity has finally admitted that Climate Change must be addressed on a level that will actually matter. No more fooling around. There is hope that the fossil fuel era will close and the renewable energy era will rise. There is hope that the Agreement will focus humanity’s attention on not only enduring this manmade warming phase with grace, but will actually allow us to emerge from it a better steward of our planet, with a healthier and more just society. There is despair that we’ve started much too late to address this crisis and that our lesser angels will allow our short-term interests to override our long-term survival. That instead of being charitable towards others, we’ll devolve into a constant state of self-destructive meanness as we fight over the last scraps of the bounties we accumulated in the fossil fuel era. Whether we thrive or perish is up to us, all of us. The Paris Agreement has demonstrated that none of us can watch Climate Change from the sidelines. Especially not the climate deniers, whose worldview is no longer acceptable. 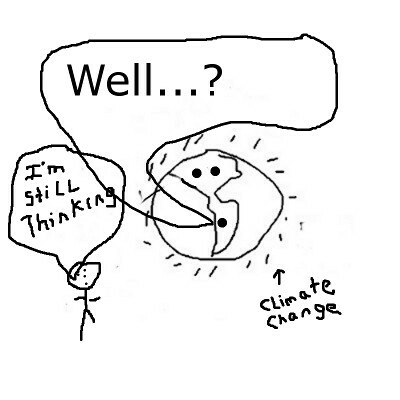 Climate denial is now on par with earlier hateful memes, like the belief that some people are inherently better than others. Not even Rochester, NY can sit on the sidelines. 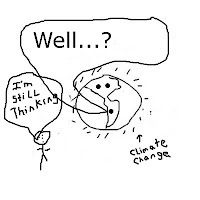 We’ve misspent decades continually refusing to connect the dots to local consequences so we can adapt in a timely manner, or admit to ourselves that we have a moral mandate to help others because much of the existing warmth in the atmosphere is ours. Rochester and New York and the Northeast (and Europe, from whence the Industrial Revolution began) own those dangerous greenhouse gases that are already wreaking havoc.